When it comes to hotel management, Michels & Taylor has an unrivalled reputation thanks to a diverse team of specialists. Clients trust us to assist in driving increased revenue and profits, we deliver this through varied hotel marketing strategy. In this blog, we will be sharing our professional advice on how to drive your online business away from Online Travel Agents (OTAs) and instead bring it to you directly. It’s a vital part of the industry to be able to adapt your website to aptly fit with the changing needs of consumers. Making your website accessible across all platforms will ensure peak engagement and will provide a more streamlined experience for potential guests. Effectively integrating a web-booking engine into your website is a simple but very powerful tool that can increase hotel direct bookings. Successful properties combine this with a robust property management system (PMS) as this can give potential customers access to invaluable real-time updates of room rates and inventory that they simply won’t find if booking through an OTA. The aforementioned benefits are essential information and are a little-known key to convincing guests to book direct. Booking through mobile devices is also on the rise, so having an up-to-date mobile app or mobile-friendly website is invaluable. Guests can book easily, and the easier you make it for them to book, the more likely they are to avoid OTAs. You can take it further by making sure your website is SEO optimised – in doing so, you can bid on key terms that your ideal customer is looking for, thus bringing in traffic and bypassing OTAs completely. A great way of ensuring repeat custom is successfully managing your consumer data. When a guest checks in from an OTA it’s important that you capture contact details; this often forgotten step ensures that you can convert a one-time OTA guest into a direct booker. How is this achieved? Regular rewards featured in newsletters will reinforce loyalty and you can keep your database aware of any benefits and privileges you have to offer. Incentives such as a best rate guarantee, late checkout or discounts on dining will make booking direct appear much more enticing than booking through an OTA and you won’t have to pay a hefty commission. Aim to keep your newsletter up-to-date and GDPR compliant, and you will see a difference in your direct bookings. Social media is an immensely popular platform for promoting hotels. On these platforms you can utilise user generated content alongside your own assets to create a more detailed and enticing user journey. Not only can you promote your brand, you can set guests’ expectations and add immense value. We recommend establishing a confident, consistent tone of voice across all your social interactions so that you can reinforce your brand – potential guests will see you as approachable and reliable with your responses. Remember, OTAs are their own brand so if you neglect your own channels your property runs the risk of being lost in a sea of other businesses. Use appropriate hashtags, link back to your website, engage with your audience, run competitions and maintain consistent activity. Once the above steps have been mastered, you can venture further into paid social advertising. 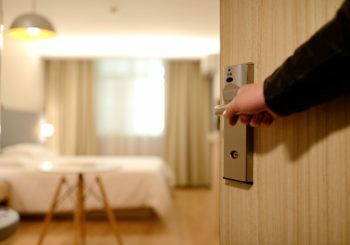 This blog is by no means an exhaustive list of ways to increase direct bookings for your hotel. Digital marketing can help retrieve business from OTAs and here at M&T, we tailor all of our hotel management consultancy services to suit your individual brand requirements. From PPC and social media to SEO and responsive websites, we have a solution that can help drive your direct bookings. M&T can assist with all areas of hotel management – to find out more contact us today.